There are days when I completely lack inspiration in the baking department. I just simply cannot think of a thing to bake. That’s when I like to get out my mother’s and grandmother’s recipes and see if anything strikes my baking fancy. What caught my interest this time was a recipe in my mother’s handwriting for Chewy Macaroon Pie. 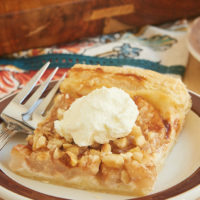 I had no memory of ever having this pie, but it sounded so good and simple that I knew I had to make it. 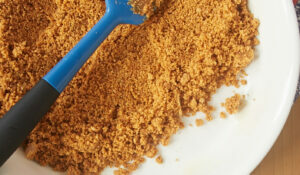 The ingredients list is similar to chess pie recipes – sugar, eggs, milk, butter. But the method is a bit different. 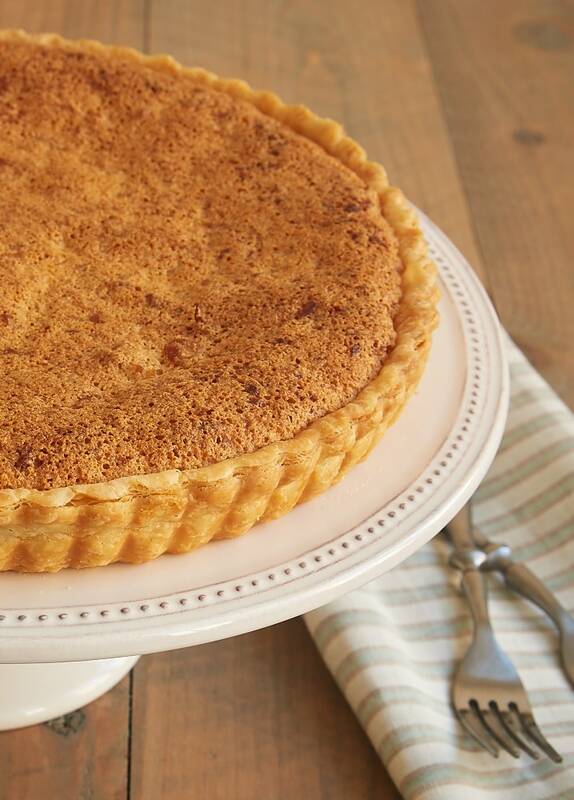 Chess Pie is one of those wondrous desserts where you just mix everything in one bowl and pour it into a pie crust. 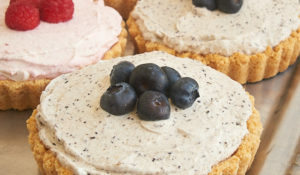 This Macaroon Tart is almost that simple. 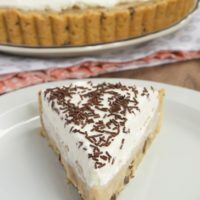 All of the filling ingredients are mixed together, but the egg whites are beaten before being folded into the filling to give this pie a lighter texture. 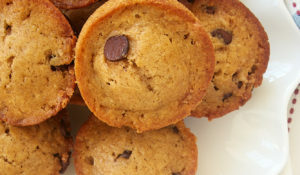 Added to that simple filling is one of my favorite ingredients – coconut! It’s a perfect companion to the sweet filling. 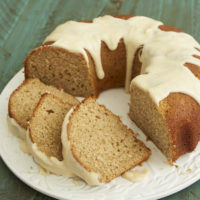 I used vanilla extract with a bit of almond extract to add even more flavor. Try substituting lemon juice for the extracts for a little variety. 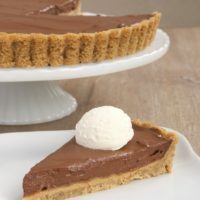 I must tell you that one bite of this pie was instant nostalgia for me. I may not have remembered the name of the pie, but I knew immediately that I’d eaten it many, many times when my mother made it. 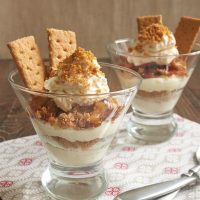 I’m so excited to have rediscovered this absolutely lovely dessert and to be able to share it with you! 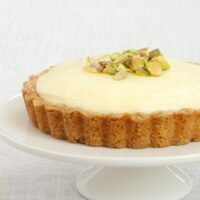 Coconut lovers will want to devour this sweet, chewy Macaroon Tart! Transfer the dough to a 9-inch tart pan with a removable bottom. Trim the edges of the crust. Beat the egg yolks and salt until combined. Add the sugar, about 1/2 cup at a time, and mix until combined. Add the milk, butter, vanilla, and almond extract, and mix thoroughly. In a separate bowl, beat the egg whites until they form stiff peaks. Fold the egg whites and the coconut into the filling mixture. Transfer the filling to the pie crust. Bake 30 to 35 minutes, or until the top is golden brown and a thin knife inserted into the center comes out clean. Wow…this sounds absolutely delicious. Thanks so much for the recipe…I’m definitely going to have to try it! 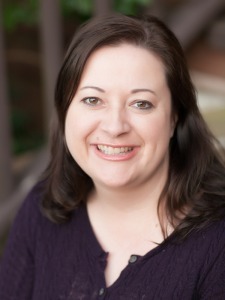 Jennifer, thanks so much for posting your recipes. I found you on Pinterest ages ago it seems,and now that I am cleaning up my pins I find that you are one of only two recipe posters I can truly trust. Thanks again. 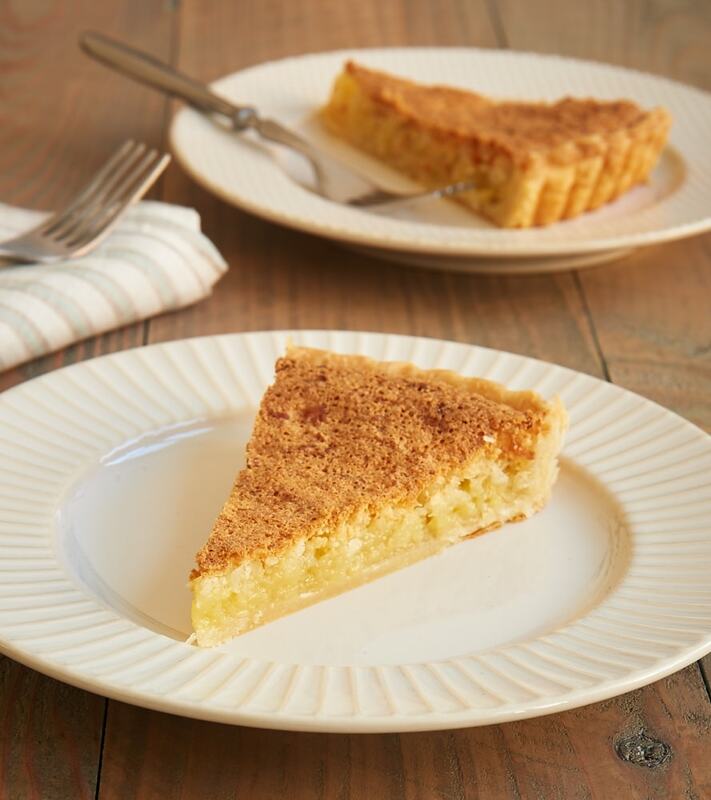 Mmmm chess pie but with coconut! I love it. All of your desserts are so special!!! I want to try the Macaroon Tart in a regular 9″ pie pan bcuz I don’t have anything with a removable bottom. I guess I could maybe line the pan w Parchment though and ever so carefully try to lift it out of the pan and onto a plate. But if it’s not for “company”, will leaving it in the pan make the bottom crust soggy? I don’t want that to ruin my Macaroon Tart !!! Hi, Judy! My mother always used a pie pan for this recipe, so that will definitely work. If you’re worried about a soggy crust, I’d either partially blind bake the crust before filling it or brush an egg wash on the crust before filling it. If you go the blind baking route, just keep an eye on the crust when you bake the pie. You might need to shield the sides to keep them from over-browning. 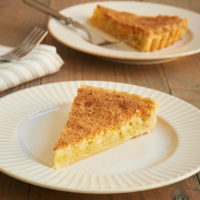 This looks so delicious and reminds me of the coconut custard pies when had during the holidays when I was a child. I’d like to forgo the “tart” preparation and simply make this a pie. Do you think that there would be any adjustments to the baking temp or time? Hi, Peggy. You can make this as a pie with no other adjustments.